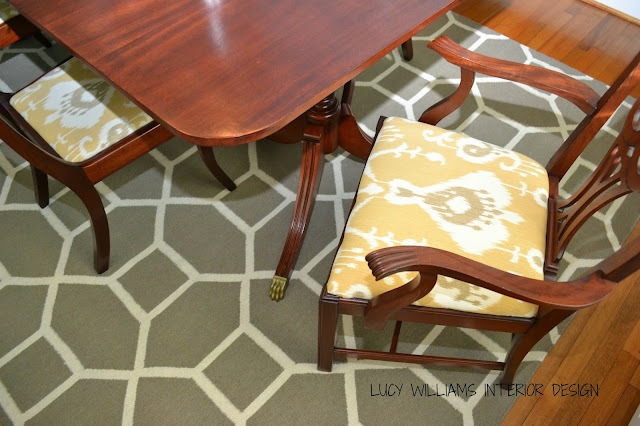 LUCY WILLIAMS INTERIOR DESIGN BLOG: BEFORE AND AFTER: DINING ROOM RUG! WHAT A DIFFERENCE A GEOMETRIC PRINT CAN DO TO ENLARGE A SPACE!!! 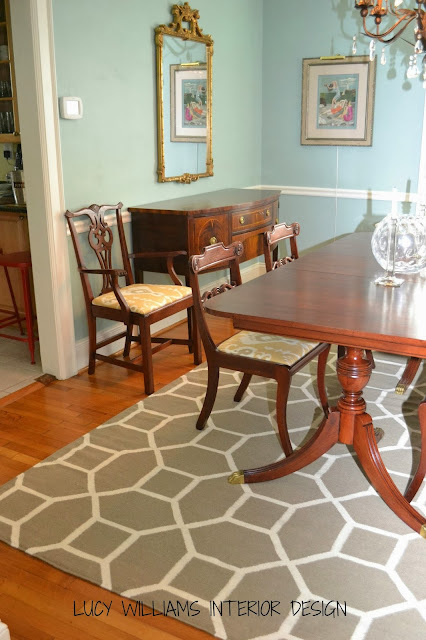 NOT ONLY DID THE GEOMETRIC DESIGN UPDATE THE TIRED ORIENTAL, BUT WE NOW HAVE A TRAFFIC FRIENDLY AND SUPER STYLISH LOOK.....THAT HAPPENED TO BLEND PERFECTLY WITH MY CUSTOMER'S EXISTING DECOR. Oh, Lucy! 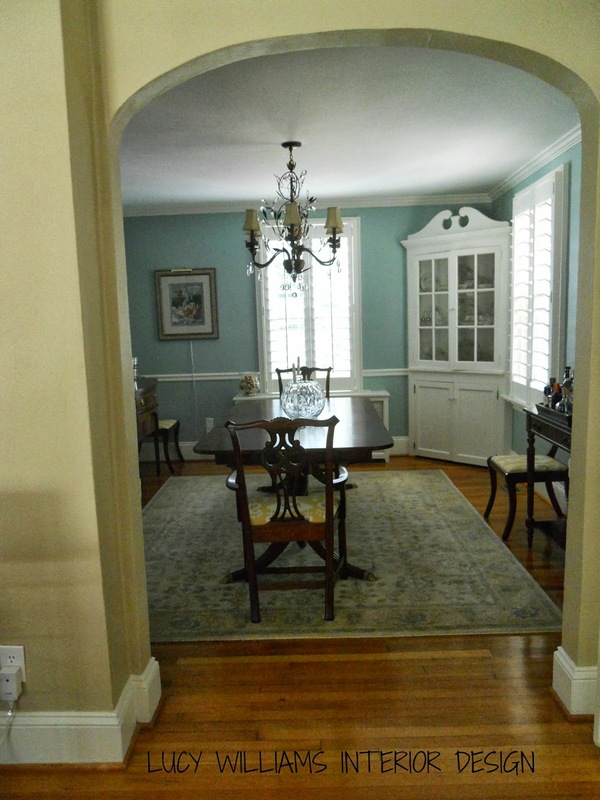 I love your dining room! The rug is fantastic! I WISH I COULD SAY IT WAS MY DINING ROOM! :( SO GLAD YOU LIKE!!!! Love the new rug! It looks great! 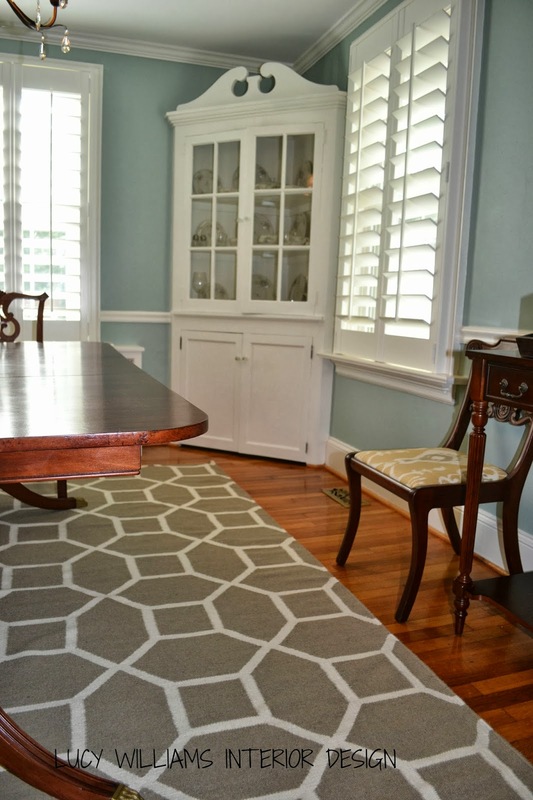 Wow what a difference a rug makes!! The room looks gorgeous. What an art. You could have used Granite Countertop in your kitchen. It would have given a luxurious look to your design. 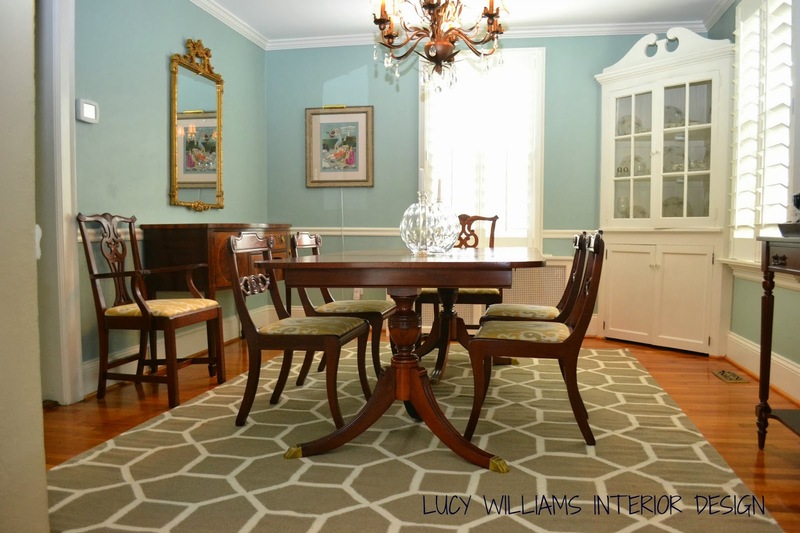 Lucy, do you know what the paint color is? Where is this rug from? I love it.